A spokesman for the broadcaster said a statement of claim will be filed Monday. TORONTO — Lawyers for CTV News say the network did nothing wrong in reporting allegations of sexual misconduct against the former leader of Ontario's Progressive Conservative party. "The Named Defendants explicitly deny that the words complained of were falsely and maliciously broadcast or published,'' the statement of defence says. The statement of defence provides a window into CTV's investigation into the sexual misconduct allegations, as well as more insight into the network's process of trying to verify the two women's accounts. The first tip that Dhanraj received alleged that Brown had "engaged in some sort of sexual misconduct/harassment'' against a female staffer on Parliament Hill while he was serving as an MP. Ultimately, Dhanraj passed the investigation to CTV's Ottawa Bureau, which the network's statement said "had more appropriate resources to pursue the story.'' The statement also says the Ottawa bureau "had been made aware of other, similar allegations about Brown,'' and was conducting its own investigation. 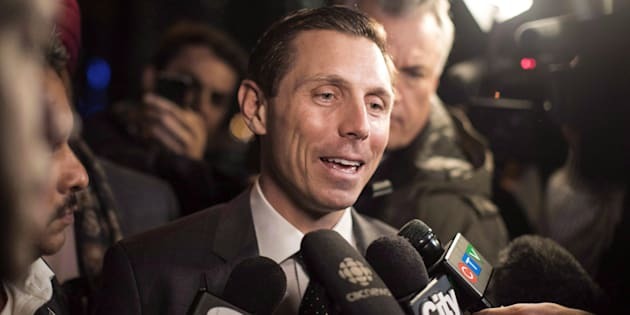 The statement of defence says CTV's story was in the public interest as Brown is a politician who was, at the time, seeking to become the premier of Ontario. It also says the network gave Brown a fair amount of time to respond to a request for comment. Since the story broke in January, Brown has vehemently denied the allegations, which have not been independently verified by The Canadian Press, saying there are discrepancies in the women's stories. Currently, Brown is attempting a political comeback. He's announced he's running to become chair of Peel Region.